It's adventure time! 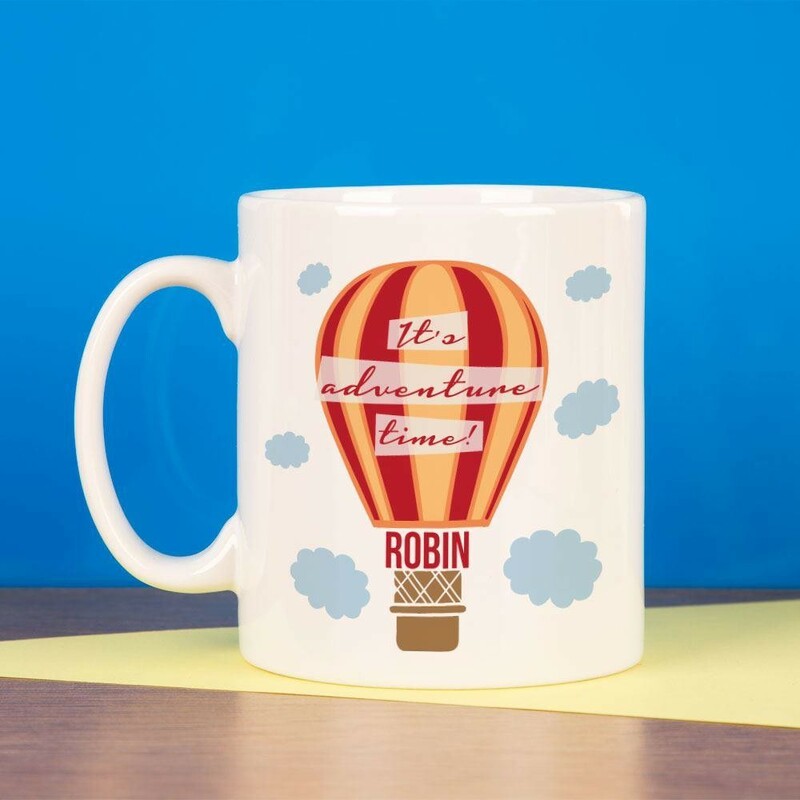 Get set for an adventure every day with this fun travel themed mug. 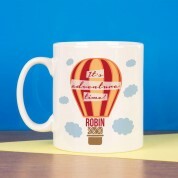 Perfect for both children and adults, it has a hot air balloon amongst the clouds on it. 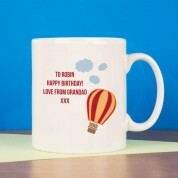 Between the basket and balloon is the recipient's first name. 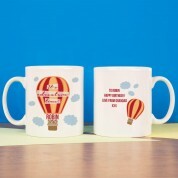 On the back there is a personal message from yourself, with the balloon flying away in to the distance. It's a fun gift for those who like an adventure every day, or are setting off for the adventure of a lifetime.